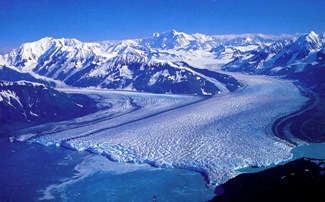 Hubbard is one of Alaska's few advancing glaciers and the largest tidewater glacier in North America. Ever on the move, previous activity earned it a nickname — the "Galloping Glacier." With awe inspiring colours this maginificent glacier is a must see on any Alaska Cruise.